The days are getting longer and the temperatures are getting higher. Tank tops and flip flops are being pulled from storage and swimsuits are kept readily available for a trip to the beach. It’s the time of year to spend time outside which means it’s the time of year to revamp your outdoor sanctuary. Here are a few ideas to help you enjoy the summer months in the comfort of your backyard. A simple porch light was fine in the winter months when you avoided any time spent outside. All that was needed was enough light to see the doorknob to get inside and cozy up under a blanket. During the summer months the sun doesn’t go down until much later and the temperature stays warmer longer into the night. 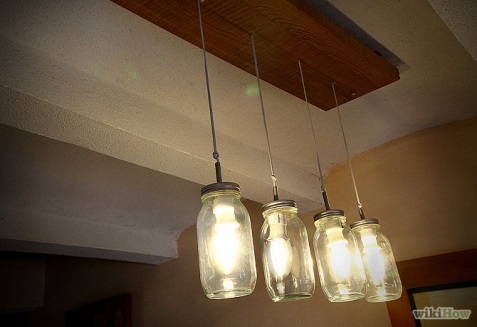 Some extra lighting will make extra time spent outside reading or entertaining much easier. Simple outdoor ground lighting will do the trick, but some fun hanging lights will brighten up your yard, deck, or porch while feeling comfortable and homey. When deciding on furniture as an outdoor décor idea, decide on what your summer months look like. Are you more inclined to spend time alone sunbathing or reading, drinking iced tea with your spouse, spending time with your dog, or entertaining a group of friends? For the sunbather or reader, you might consider a lounge chair with comfortable cushions. For an intimate outdoor furniture set, a couple comfy chairs and a small table to set your coffee could be simple and perfect. For the animal lover, consider a more durable furniture set that is easy to clean for your dog to lie on. For the entertainer, seating is a must. An umbrella patio set leaves room for seating as well as room to set drinks or food. 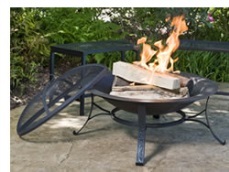 for fire pits for you to consider: above ground, campfire rings, copper, cast iron, etc. What better way to spend your summer nights than roasting marshmallows over a fire? 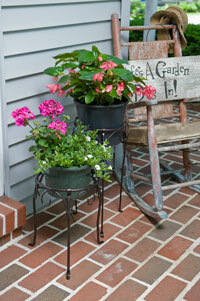 Adding plants to your outdoor retreat is a great way to add color to your surroundings without spending a lot of money. 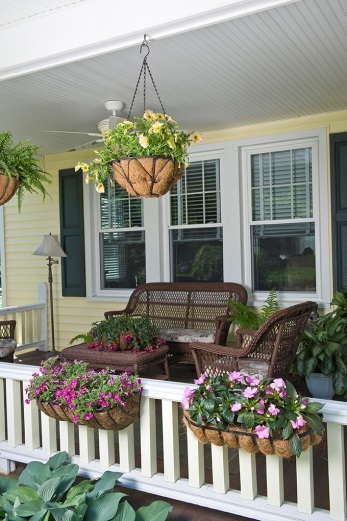 Hanging plants, planter boxes, plant stands, or a raised box are all ways to add plants to your yard. There are a ton of options and décor deals to add plant life to your home. For those without a green thumb, research the plants you are considering adding to your yard and find those that don’t require a lot of upkeep. Perennial plants will return year after year and don’t have to be replanted. Use flowers as accent pieces to outdoor end pieces, tables, or sitting areas. There are a ton of different ways to revamp your outdoor living space other than those already listed. The possibilities are endless, really. Again, consider your outdoor theme before making any decisions with accessories. 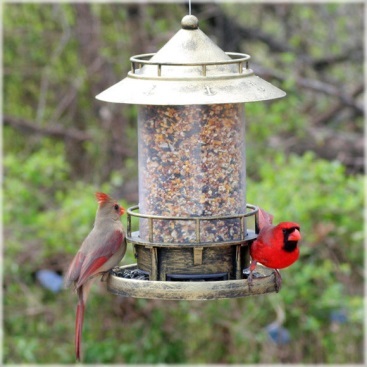 You could go with bird feeders and a bird bath, an iron garden arch, or a decorative hose holder. Accessories don’t have to be big pieces, either. A small trellis accent, wind chimes, small plant stands, or garden statues are great ways to accessorize your yard without going overboard. Revamping your outdoor haven doesn’t have to mean big renovations or expensive purchases. A simple accessory or entertainment piece can go a long way to help your backyard feel more inviting and practical during the summer months. Put on your sunglasses, pack your sunscreen, throw on some shorts, and spend some time soaking up the sun this summer!